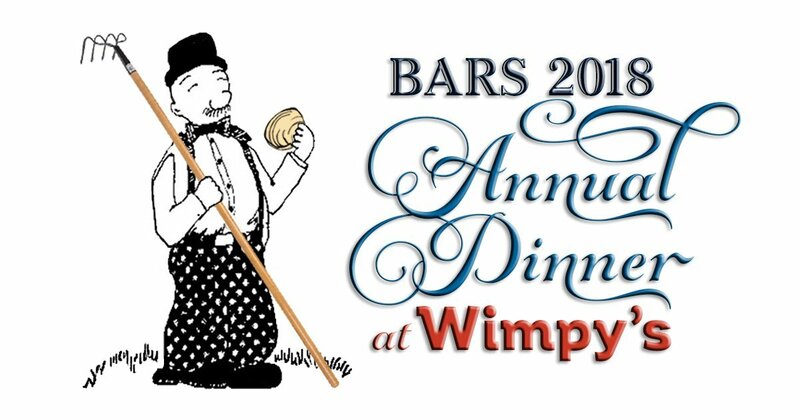 The BARS annual awards dinner will be Tuesday, May 1st at Wimpy’s Seafood Cafe in Osterville. Winners of the Barnstable Bivalve Buddy Award and the President’s Award will be announced at the meeting. The event is for BARS members good standing and their guest(s). Cash bar is from 5:30 – 6:30 pm. Dinner will be served at 6:30 pm. 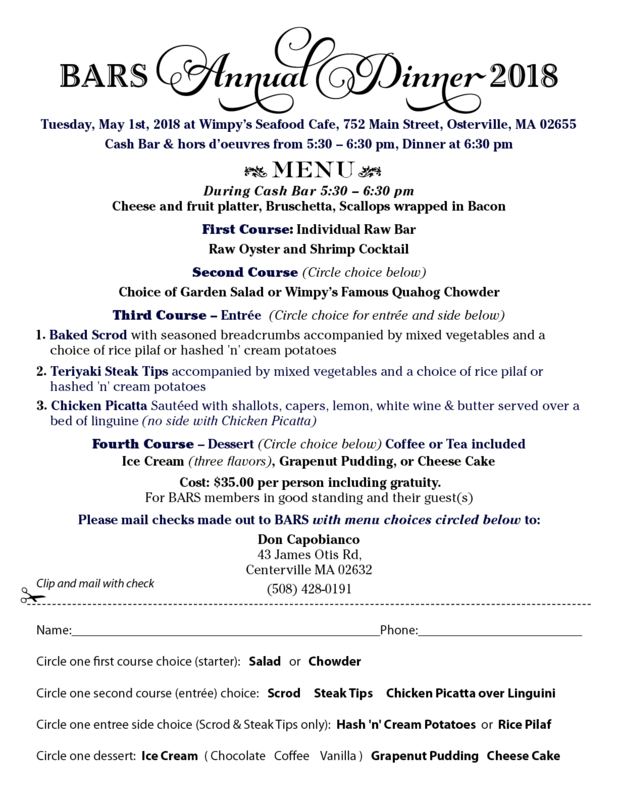 Price per person is $35.00 including gratuity. Checks must be received by April 20th, 2018 to secure your reservation.